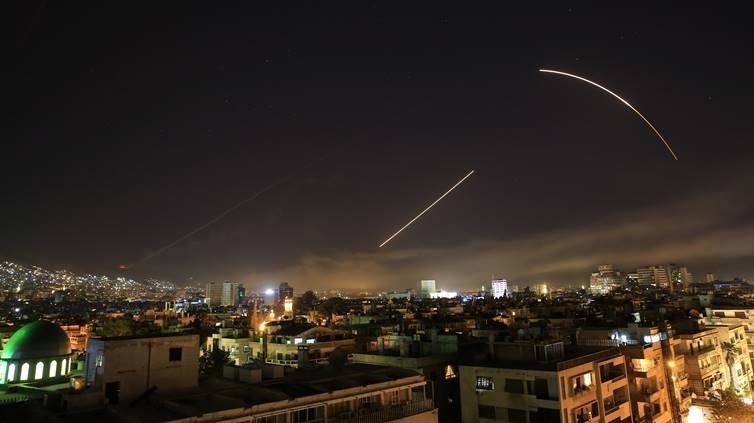 AKIPRESS.COM - The strikes launched by the US and its allies against Syria have seriously damaged the Syrian peace process, Russian President Vladimir Putin said. If such actions continue, it would have grave consequences for the world, he said. “If such actions that are carried out in violation of the UN Charter continue that would inevitably lead to chaos in the international relations,” the Kremlin said, citing the Russian presodent. Putin made his statements during a phone conversation with his Iranian counterpart, Hassan Rouhani. The two leaders exchanged their views on the situation in Syria, following the massive missile strike launched by the US, the UK and France that targeted Syria's military and civilian infrastructure. Both presidents denounced the actions of the Western states by calling them an “illegal” act that was deleterious to the Syrian peace process. Putin condemned the strikes by saying that Washington launched “an aggression against a sovereign state which is at the forefront of the fight against terrorism.” At that time, Putin said that the attack was carried out in violation of the “principles of international law,” as it was not authorized by the UN Security Council.